The results of SSC part 1 annual exams 2017 have been announced by the Board of Intermediate & Secondary Education Abbottabad. 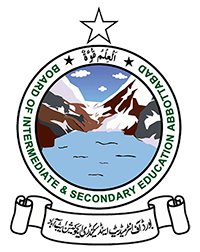 Abbottabad Board organized these grade 9 annual exams 2017 in March and April 2017 while thousands of students appeared in these 9th class annual exams 2017. All these concerned students can view their detailed results by visiting the official website of BISE Abbottabad.